The pursuit of excellence and win-win strategies for ultimate perfection is the business philosophy that HUST CNC honorably follows since its inception in 1982. The company insists in attaining maximum customer satisfaction and raising the technical level of automation for the machinery industry as its top guideline. l Starting from the traditional customization perspective, HUST CNC has transformed itself to focus on complete customization to meet specialized and objective requirements and to enforce a service-oriented business philosophy throughout the organization. l Ensuring the values and complete customers satisfaction based on an optimal balance between prices, qualities and features to maximize brand benefits and improve industrial development. l As digital and network facilities become more commonly used nowadays, HUST CNC can engage in new types of collaboration with suppliers and customers to foster partnership, to effectively address the challenges confronting the value chain and to coordinate among all partners for issue resolution. HUST CNC is a company of vitality. Our goal of operation is to provide high-quality products and excellent services satisfying our customers. We aspire to make HUST CNC a top worldwide brand in the automation system industry. 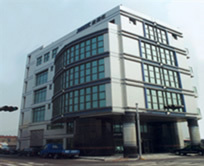 Established in 1982, HUST CNC is now among one of the best automation system manufacturers in Taiwan and has also grown into an international company. With increasing sales through worldwide marketing, we will strive to enhance our competitiveness accordingly. HUST tries to maintain a unique and continuous relationship with our clients. It is our job to provide workable solutions; understanding the problems and giving solutions with regard to special machinery and business requirements are our expertise. Maintaining the highest quality in our products, achieving our goals with perfection and providing our clients with the finest services are an honor to all of our staff members.